Remove the passenger side instrument panel insulator. Refer to Instrument Panel Insulator Replacement. Remove the passenger side inflatable restraint instrument panel lower module. Refer to Instrument Panel Lower Airbag Replacement - Passenger Side. Remove the right side floor heater duct. Refer to Floor Air Outlet Duct Replacement - Right Side. Remove the 3 blower motor cover screws, and remove the blower motor cover. Disconnect the blower motor wire harness connector. The blower motor is molded into heater and air conditioning evaporator and blower lower module case during the manufacturing process, therefore heater and air conditioning evaporator and blower lower module case must be cut to remove blower motor assembly. Cut through the case as straight as possible because the blower motor cup must be reused. In order to prevent damage to the component, do not cut any deeper than necessary to remove the blower motor cup. Cut out the blower motor assembly using a utility knife, following the narrow groove around the blower motor assembly in the lower case. Remove the blower motor assembly. Remove the blower motor cover (if required). 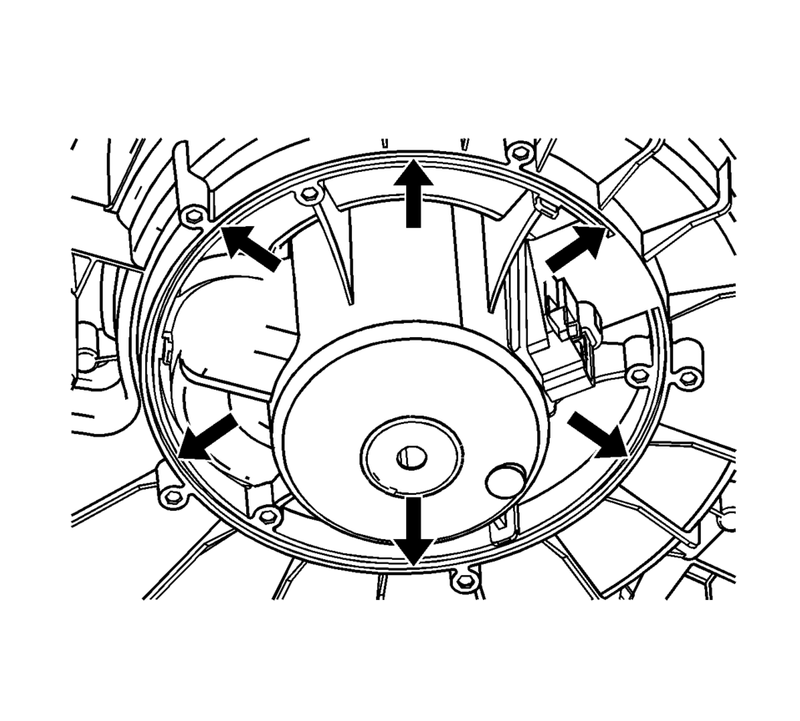 Remove the 3 outer most screws from blower motor service ring, or blower integrated ring. Clean and smooth the rough edges, and remove any burs of plastic from heater and air conditioning evaporator and blower lower module case, where the original blower motor assembly was cut out of the heater and air conditioning evaporator and blower lower module case. Attach the blower motor service ring to the blower motor assembly using the service screws. 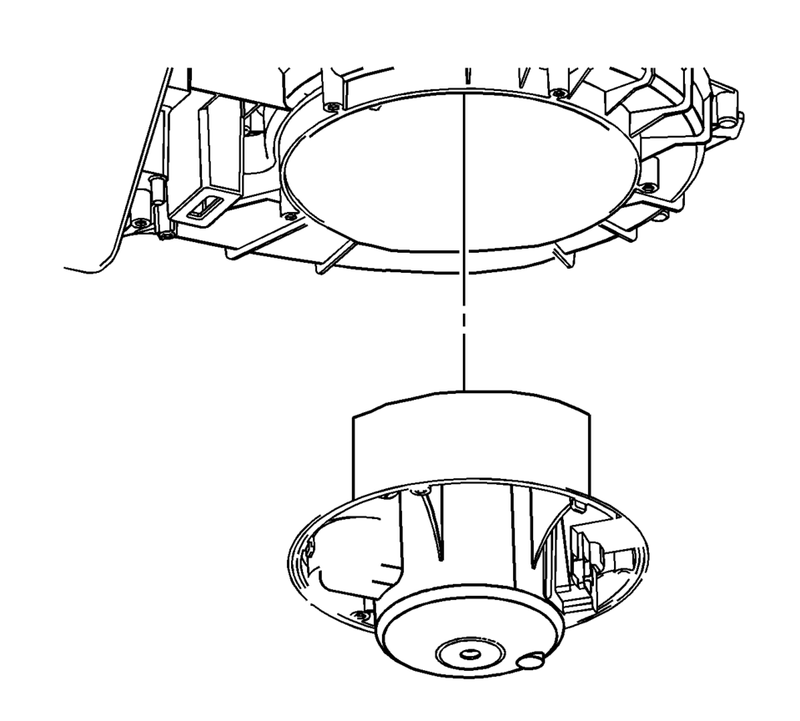 When using the original blower motor assembly that has been cut out of the lower case, install the blower motor assembly with the service ring assembly to the heater and air conditioning evaporator and blower module lower case, with the additional service screws, and tighten the screws. 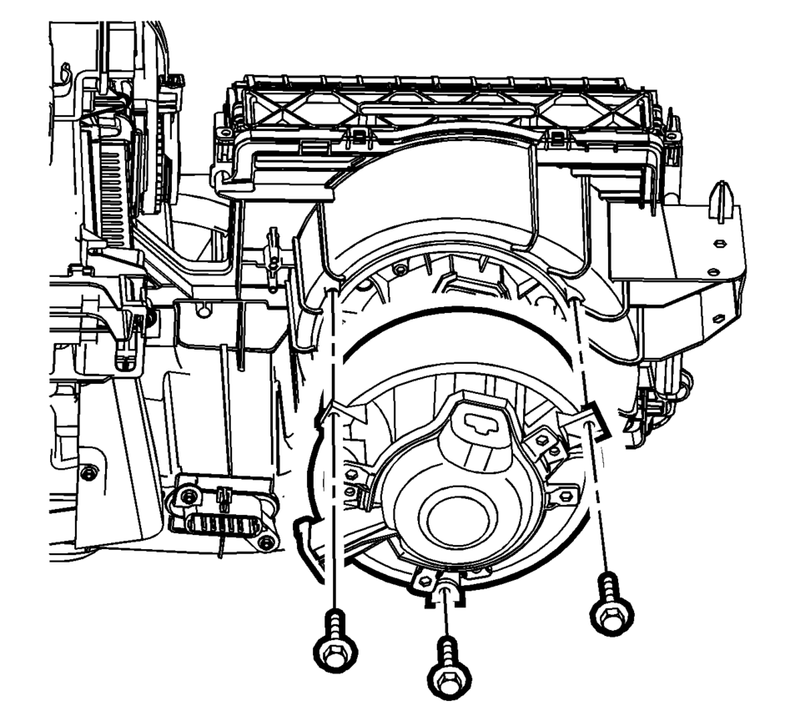 When using the service blower motor kit, install the service blower motor assembly to the heater and air conditioning evaporator and blower lower module case, with additional service screws, and tighten the screws. Install the blower motor cover. Connect the blower motor wire harness connector. Install the right side floor heater duct. Refer to Floor Air Outlet Duct Replacement - Right Side. Install the passenger side inflatable restraint instrument panel lower module. Refer to Instrument Panel Lower Airbag Replacement - Passenger Side. Install the passenger side instrument panel insulator. Refer to Instrument Panel Insulator Replacement.